Pomona, CA, 11-11-2009 — This weekend at the Pomona Fairplex, the past, present and future (flash) will converge for Nitro Funny Car driver Mendy Fry. How so? On Saturday and Sunday at the National Hot Rod Association’s season-ending Auto Club Finals, Fry will once again shoe Gary Messenger’s resplendent-yet-potent, gorgeous black-and-gold 1973 Dodge AA/Funny Car, a machine rich in drag strip history, whose lineage is traced to renowned and notorious drag racers such as Gene Snow, Brent Fanning and Roland Leong. 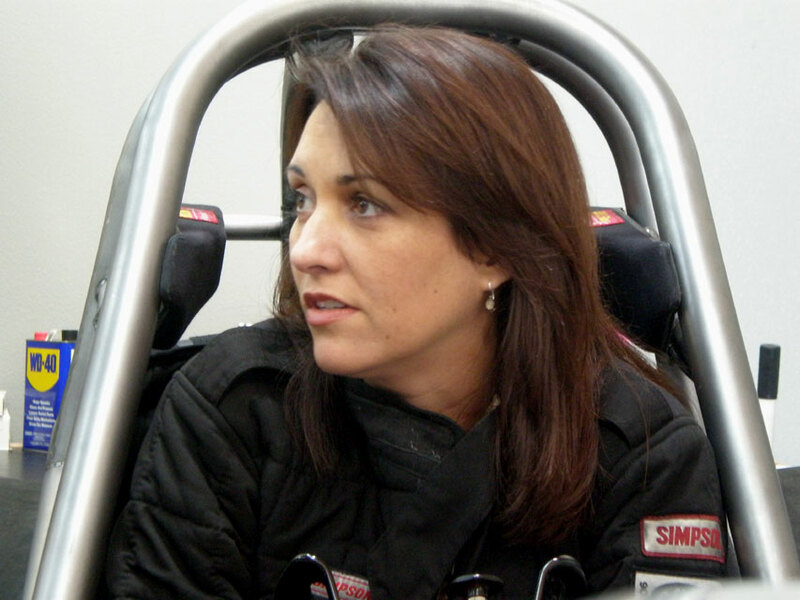 Ironically, the entry also has ties to Fry herself, as this is the same racer that she earned her Nitro Funny Car license in, and then campaigned with tuner Donnie Couch to a runner-up finish at the 2008 Las Vegas Speed Spectacular. The “Nitro Kitty Charger’s” quarter-mile exhibitions at Pomona this weekend is part of an effort coordinated by NHRA Heritage Series majordomo Steve Gibbs, and is designed to draw attention to that program’s events, which include remarkably popular vintage-themed drag races from Bakersfield to Boise. To that end, among those joining Fry for this weekend’s fiery and ferocious festivities will be the AA/Funny Cars of Josh Crawford, the “Pisano & Matusbara” Nitro Vega and the “Lil’ Nate” Barracuda owned by Howard Bugg, as well as a pair of AA/Fuel dragsters. 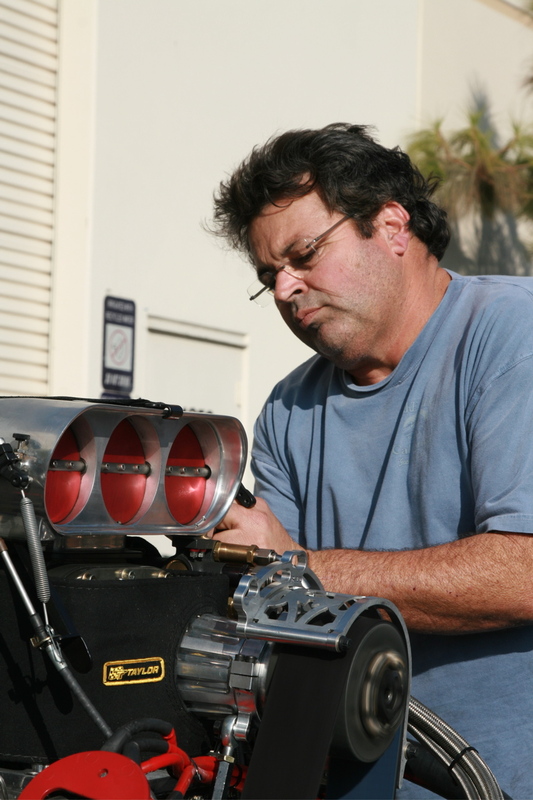 West Coast Funny Car Factory maven Donnie Couch preps the Nitro Kitty Charger's mill. Best for the weekend Mendy; and please, give my good pal Donnie a hug from Ole 240. Outstanding you guys are a class operation and deserve the best. Good luck to you all be safe and keep it lit.